You're efficient, Aqi, I just saw the scan a few minutes ago heh. Great scan ! I waslooking for this cover. XD Thanks ! Definitely a fav. It's so beautiful! If I'm up to it (I'll rephrase the IF) may I vector this? Notice the IF! Awesome is an understatement @_@. The scan is gorgeous too ^0^. Another fine piece Aqiaqua! i luv it! 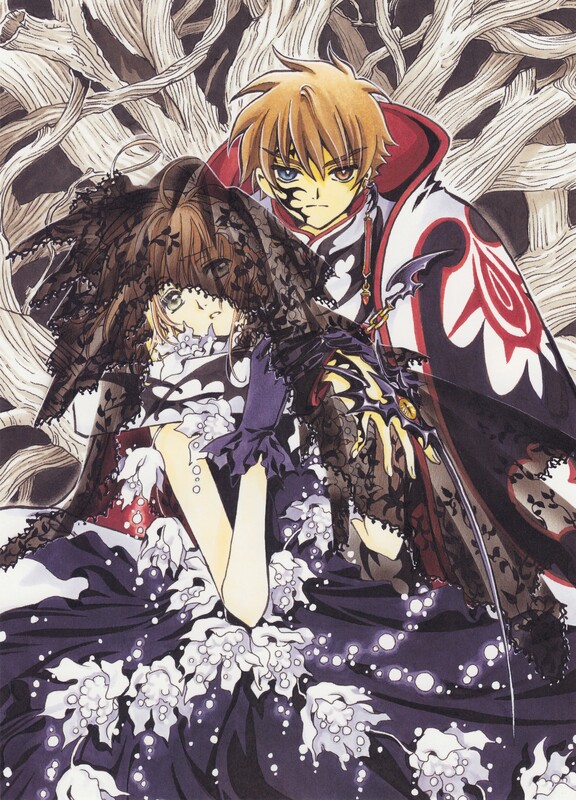 i like that...thingy on syaoran clone's finger! i want one! Very cool. The story seems to be getting deeper? what a sad pic ! sakura looked so gloomy T_T but, as usual, they are beautiful together !